In a rather surprising addition to Netflix’s ever-growing selection of anime catalog the subscription based online streaming giant have added SUNRISE’s Mobile Suit Gundam Unicorn OVA Movie franchise; with all seven films now available to stream in both English & Japanese audio (with English subtitles). 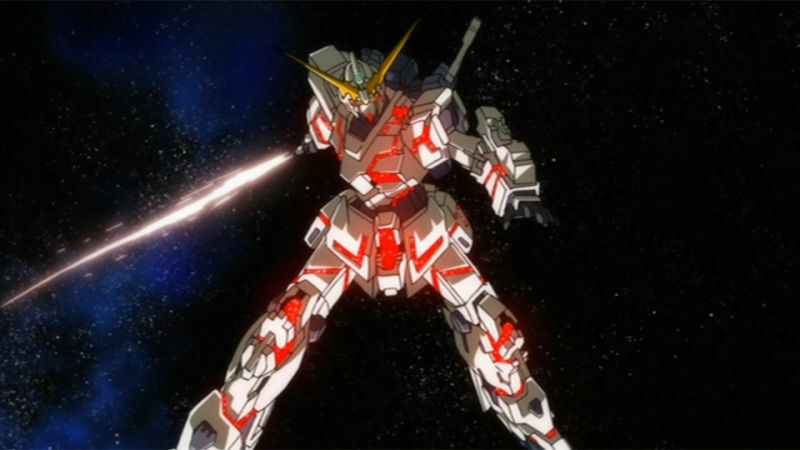 Synopsis: When Banagher Links meets the mysterious Audrey Burne, he inherits the Unicorn Gundam and is swept up into the battle for space colony independence. It’s worth noting that this is the ‘original’ feature-length-episode format of Mobile Suit Gundam Unicorn collection, which each episode ranging from 60 – 90 minutes, as opposed to the more recent Mobile Suit Gundam UC RE:0096 series which cuts the OVA films into a twenty-six episode season. Regardless those who were unable to purchase the previously released Mobile Suit Gundam Unicorn OVA releases, of which were released on Blu-Ray worldwide by Homenaise and on DVD by Madman Entertainment in Australia, are now able to watch these OVA films via Netflix UK.